Audi's Luca de Meo: “Audi dealers can show for the first time the entire model range conveniently wherever the customer wants." The Audi Virtual Reality Experience is a wearable device that allows shoppers to customize the ideal configuration of the Audi model they want and view the car inside and out from the first-person perspective. 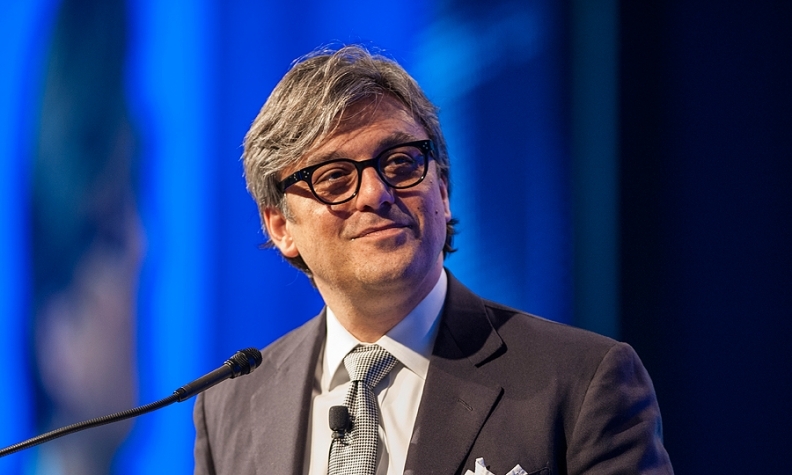 The idea is to bring a customizable car shopping experience directly to the customer, de Meo, member of Audi’s board of management in charge of sales and marketing, said at the Automotive News World Congress on Tuesday. “Audi dealers can show for the first time the entire model range conveniently wherever the customer wants – in a boutique shop, or premium downtown shopping malls, in customers living room, at work or at the racetrack, especially important for a sporty brand like Audi,” de Meo said. Just for the A3 compact lineup, de Meo says, the Audi Virtual Reality Experience contains some 30 million renderings of the car’s buildable combinations covering all of its derivatives such as the S3 high-performance model and the A3 Sportback. Users can view the inside and outside of the car and customize it in real time. The device has already been launched as a pilot program in Brazil last year, de Meo said. The virtual reality system is one of several futuristic approaches to the car business that Audi is exploring as advancements like autonomous driving technology and connectivity come to the industry’s forefront. Audi is also exploring new car ownership business models that put a luxury spin on car sharing. One example, called Audi Select being piloted in Europe, allows a customer to drive different cars over the course of a year -- a convertible in the summer and an SUV in the winter, for example -- for a flat monthly rate. For Audi, it could create a new way to extract profit from pre-owned cars. “The trick,” for the program, de Meo said, “was to take young used cars sitting in stock at the dealership. Our experience says that people are willing to pay more for the one year-test drive with young used models than leasing a new car because of freedom of choice. "It’s a challenge to have the right model in the right place but digital and mobile technology make it possible." In London, Audi replaced a traditional retail showroom with “completely digital showroom” where customers can customize, shop for and select cars for purchase. Sales increased by 70 percent and average transaction prices grew by 20 percent. Yet while digital technologies and new demand for innovative ownership experiences may affect how customers begin the car buying experience, de Meo says that a premium dealership experience will become even more important for luxury brands, including Audi.